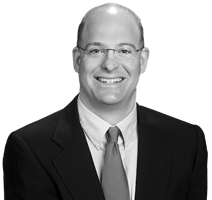 David has almost two decades of experience working with regional and national commercial real estate clients. He advises his clients on all aspects of commercial real estate including complex acquisitions, leasing, development, condominium structuring and financing transactions. His clients include developers, high-tech and life sciences companies, utility companies, government agencies, airport owners and health care institutions. Represents a leading international developer of real estate for the life sciences industry in the leasing of laboratory and office premises in Cambridge, Massachusetts. Represents a developer in the acquisition, leasing and disposition of retail shopping centers and other office and retail properties in Massachusetts, New Hampshire and Rhode Island. Represents a nonprofit community health organization in construction financing projects for improvements to its historic Boston campus. Represents the owner/operator of New England summer camps, including the ground leasing of a 40-acre lakefront campus. Represents various technology and life sciences companies in the leasing and subleasing of office and laboratory space throughout the U.S.
David lives in Concord, Massachusetts with his wife and two children and dog.